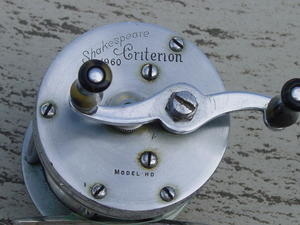 Shakespeare Criterion 1960 Model HD Fishing Reel Reel is in good shape, smooth running and works like it should. Comes with a leather reel bag and reel tool. 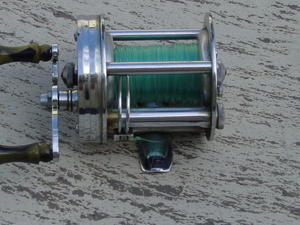 Reel is in good shape, smooth running and works like it should. 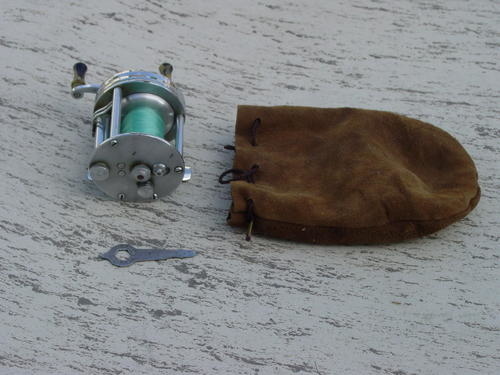 Comes with a leather reel bag and reel tool.